Released on Monday, the latest survey has found the net confidence indicator – measuring sentiment levels among the nation’s farmers – has dropped over the past quarter to one of its lowest readings in four years. 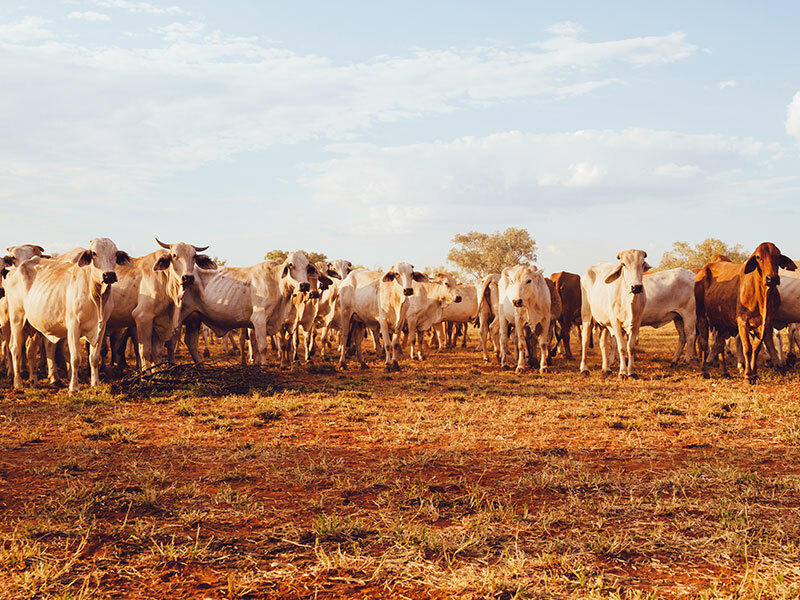 However, Rabobank Australia CEO Peter Knoblanche says recent rain across parts of the eastern states is providing some renewed cause for optimism. 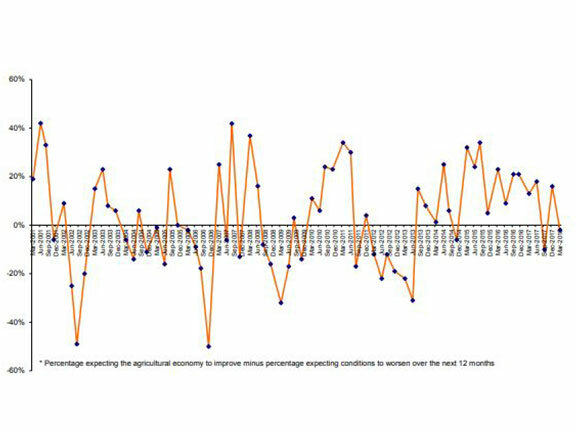 According to the survey results, more Australian farmers had a negative outlook for the agricultural economy over the next 12 months than those with a positive view, with the net confidence indicator dipping into negative territory to -2 per cent, from +16 per cent in December last year. The percentage of the nation’s farmers with a negative view stood at 21 per cent (up from 12 per cent last quarter), while 19 per cent expect conditions to improve (down from 28 per cent). More than half (56 per cent), however are expecting conditions to remain relatively unchanged in the year ahead. Announcing the results of the latest survey, Knoblanche says while the season is still uncertain, fundamentals for the ag sector remain bullish with most commodity sectors looking at another year of strong prices. "While farmers may be indicating some nervousness about their short-term prospects when it comes to seasonal conditions, there is plenty of evidence that long-term confidence in the sector is not just sound, but robust," he says. "You only have to look at investment activity, both from within and outside the sector, to get a gauge of how Australian agriculture is faring, and the survey found a quarter of farmers are actively looking at increasing their investment in the coming 12 months," he adds. According to Knoblanche, with many agricultural commodities experiencing sound market conditions – underpinned by positive global economic factors, improved market access, low interest rates and some softer input prices (such as fertiliser and irrigation water) – it isthe "anxious wait" for the autumn break that has impacted farmer confidence this survey. "Across much of the country it has been a hot, dry summer and, while this has not been atypical in many areas, Queensland has again missed out on its wet season and it remains desperately dry in the central west of the state," he says. This reflected in the survey results, with Queensland rural confidence dropping to its lowest level in four years. In contrast, Western Australia farmers –thanks to some decent rain – are "bucking the national trend" with a strong upswing in confidence, according to Knoblanche. With the season front-of-mind for many, Knoblanche says 36 per cent of the nation’s farmers who expect conditions to worsen over the next 12 months, cite the dry season as reason for their lack of confidence – with seasonal conditions particularly concerning for those in New South Wales and Queensland at 55 per cent and 45 per cent, respectively. "Thankfully much of eastern New South Wales received good falls in the last weekend of February, with many recording their best drop of rain for many months - and there have also been some good falls in parts of Queensland," he says. Commodity prices are cited as a cause for pessimism by 48 per cent of farmers who have a negative view on the coming year, however this is predominantly dairy and sugar producers. "The outlook for farmgate milk prices in the 2018/19 season is a little uncertain, although prices are expected to remain at profitable levels, as global supply pressure is building on markets," Knoblanche adds. "And in sugar, the global market remains oversupplied, exerting downward pressure on prices." Meanwhile, sentiment remains strong in the grain and sheep sectors, with growers hopeful the grain market will continue to strengthen, while the returns for wool, lamb and mutton remain historically high. "Sheep graziers are having their ‘time in the sun’, with the smaller domestic sheep flock, together with strong export demand, expected to underpin prices again this year," he says. The survey has been interviewing farmers throughout the country each quarter since 2000. The next results are scheduled for release in June 2018.